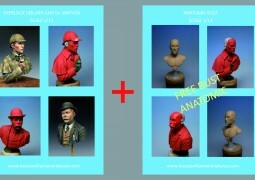 Buying today a Viet Cong bust get free the Anatomical Bust Female. Two figures sculpted by Pedro Fernandez. Enjoy only today the best summer offer !!! 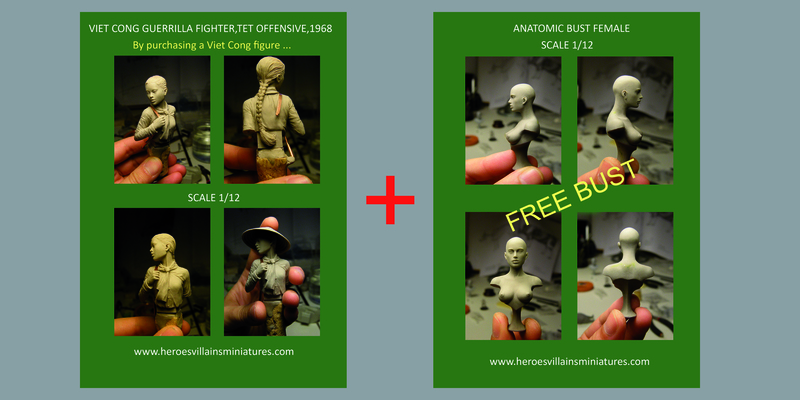 Today 29th July 2016 buying a Viet Cong Guerrilla Fighter, Tet Offensive, 1968 bust (also with the summer discount), we will include one Anatomical Bust Female totally free. Comprando hoy una Viet Cong Guerrilla Fighter, Tet Offensive, 1968 te obsequiamos con el Busto Anatómico Femenio totalmente gratis. Ambas figuras esculpidas por Pedro Fernández. Disfruta solo hoy de la mejor oferta!!! ( además de disfrutar del descuento de verano) recibirán un Busto Anatómico Femenino totalmente gratis.